PURCHASE, N.Y.--(BUSINESS WIRE)--Mastercard today announced the appointment of Paul Stoddart as president, New Payment Platforms, effective March 1, 2019. Stoddart succeeds David Yates, who will transition into a senior advisory role focused on real-time national and cross-border payments strategies. In this role, Stoddart will oversee the development and strategic integration of Mastercard’s real-time payments capabilities beyond traditional card-based solutions. Among these solutions are our Vocalink account-based payments, the Homesend joint venture and Mastercard Send. In 2017, Stoddart was named chief executive officer of Vocalink following the company’s acquisition by Mastercard. 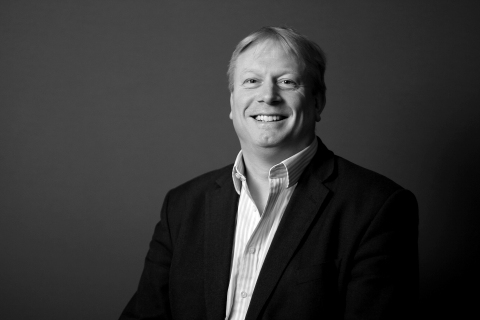 He originally joined Vocalink as managing director, responsible for strategy, corporate development and its UK and international product portfolios. Prior to Vocalink, Stoddart was responsible for mergers and acquisitions and asset disposal at Barclaycard. Earlier in his career, he spent 12 years at RBS, where he held senior roles in group corporate development, retail direct and the company’s WorldPay division. During his 35-year career, Yates has built payments businesses around the world. Before joining Vocalink as CEO in 2001, he was president of Western Union, where he drove the company’s diversification into online money transfer and business payments. He also spent six years as president, First Data International, building all the company’s global activities outside of the U.S., including merchant acquiring, merchant transaction processing, issuer processing and ATM network solutions business units. “David’s knowledge and experience has given us a perspective to help shape our strategy and capabilities in additional payments choices that we can offer to customers and consumers,” said Ajay Banga, president and CEO, Mastercard. “He has been an integral part of the effort to bring the Mastercard and Vocalink businesses together. David’s focus on the people and passion for innovation has set a foundation for us to explore new opportunities for future growth throughout the world. We wish David all the best in this next chapter of his career,” said Miebach. Mastercard (NYSE:MA), www.mastercard.com, is a technology company in the global payments industry. Our global payments processing network connects consumers, financial institutions, merchants, governments and businesses in more than 210 countries and territories. Mastercard products and solutions make everyday commerce activities - such as shopping, traveling, running a business and managing finances - easier, more secure and more efficient for everyone. Follow us on Twitter @MastercardNews, join the discussion on the Beyond the Transaction Blog and subscribe for the latest news on the Engagement Bureau. 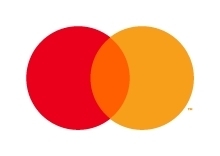 Mastercard today announced the appointment of Paul Stoddart as president, New Payment Platforms, effective March 1, 2019.